Compared with wireless Miracast devices/accessories, the RAGU Z480 is equipped with wired Miracast technology, which ensures the consistent stability and reliability without any connection issues. 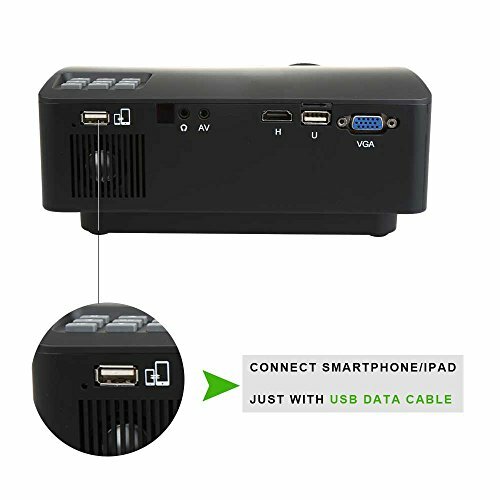 It is easy to use with a USB data cable and to navigate with easy phone/tablet settings, allowing you to present all your content anywhere from your mobile devices. *3-step Miracast operation settings: 1. Connect two devices with one USB cable; 2. Select the appropriate input source (USB); 3.Adjust your phone/tablet settings. *Consistent stability and reliability without any connection issues when connecting to phone/tablet. *Ready to go with portable size and light weight. 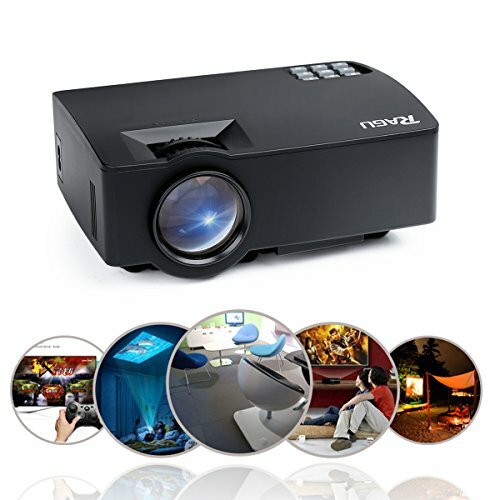 *Extreme wide screen, true-to-life color, crystal clear images and ultra-low noise deliver a fully immerse experience. 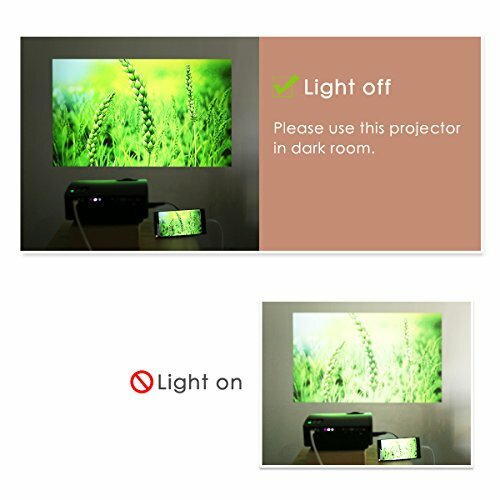 –For Android phone which cannot connect to the projector by following the steps above. You may need to scan the code from the Miracast interface then download the dedicated app. 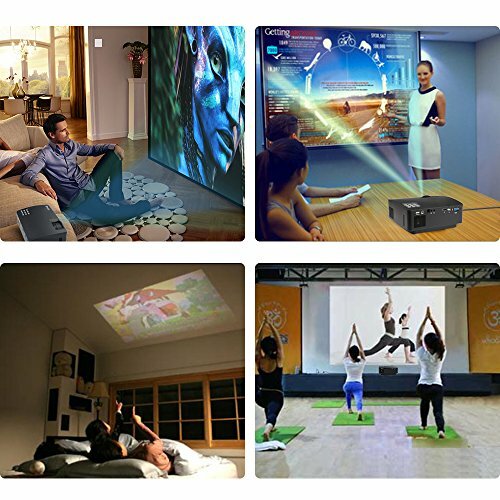 **Striking Images and Low Noise** The square pixels technology of RAGU Smartphone Projector reduces jagged edges, delivers true-to-life color and provides extreme clear images, awakening your eyes with amazing visual entertainment. The innovative cooling system has impressive performances with low noise. 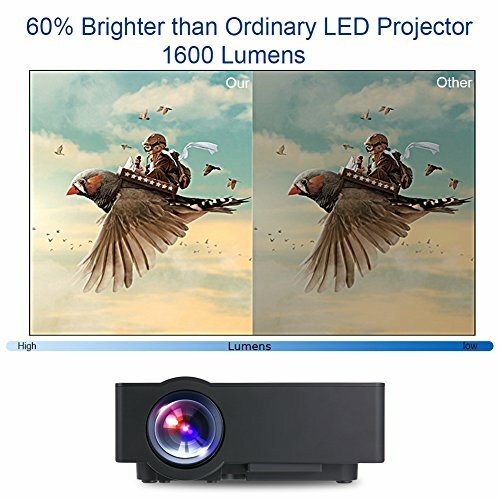 **Super-wide Screen and Guaranteed Warranty** Change the image size from 30 to 180 inches with projection distance from 0.9 to 5m. 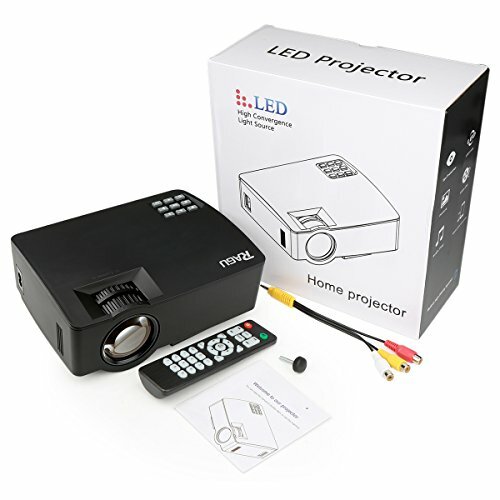 The recommended projection distance of this LED Projector is from 2 to 2.5m (80 to 130 inches), making you enjoy the best watching experience. We offer one year free replacement or refund warranty with friendly customer support via email or Facebook homepage.